New Venice is a peaceful little canal system in Köpenick, between Mügelsee and Dämeritzsee, where the Müggelspree subdivides into five narrow canals. 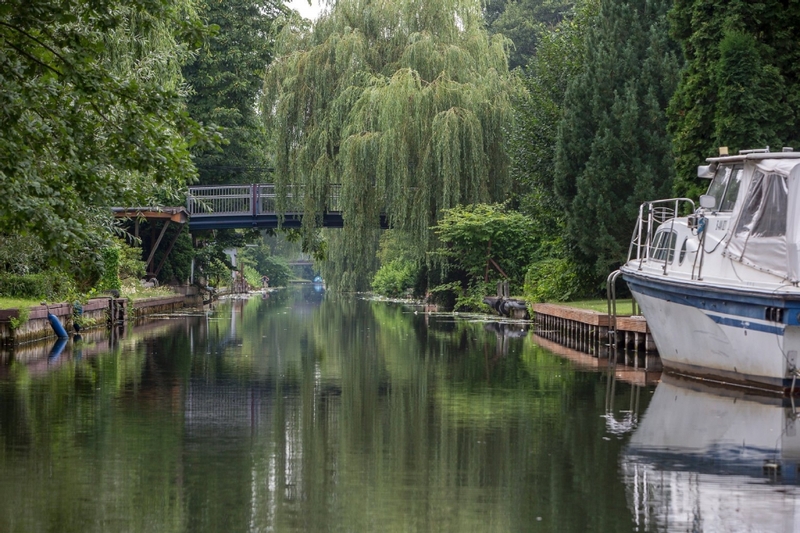 The canal system was built in 1926, not as an attraction, but rather as a prestigious housing area. That way every little house built there had access to the canals too – not bad, ey? 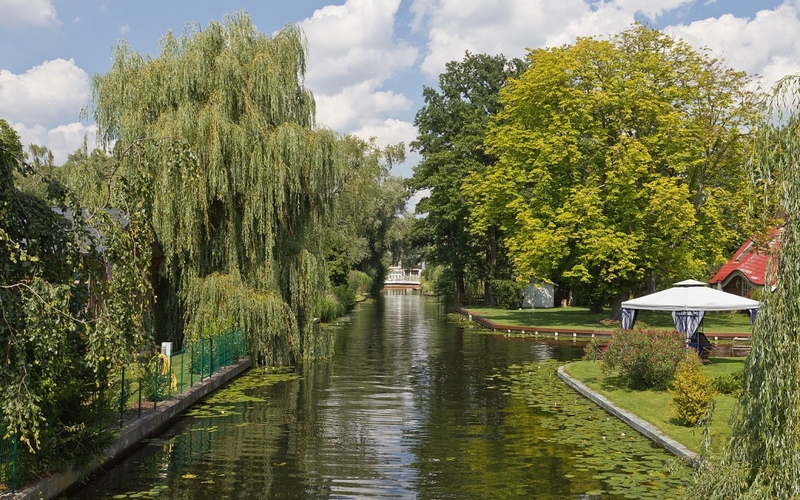 In case you run out of things to do in Berlin on a sunny weekend, we got you covered. A day trip to New Venice is something new to add to your list! Today, just like its famous role model, New Venice can only be discovered on canoes or little boats. 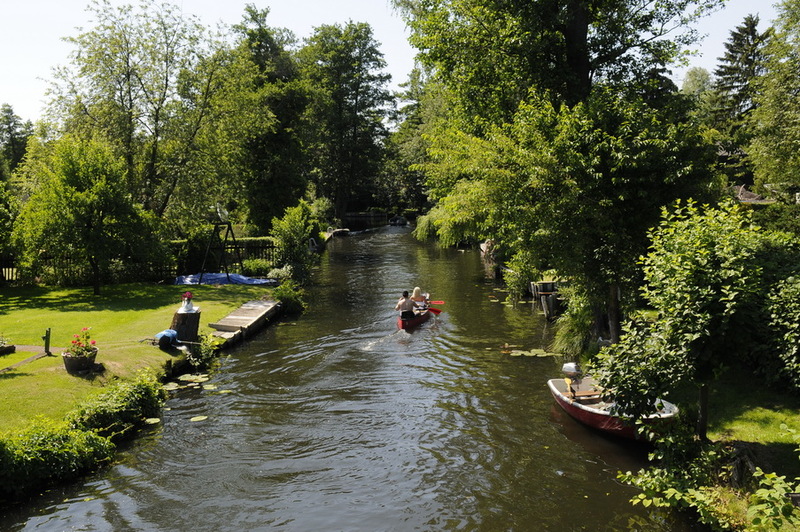 Gliding down the canal in your canoe with your friends on a sunny day has you forgetting Berlin’s busy streets within minutes. 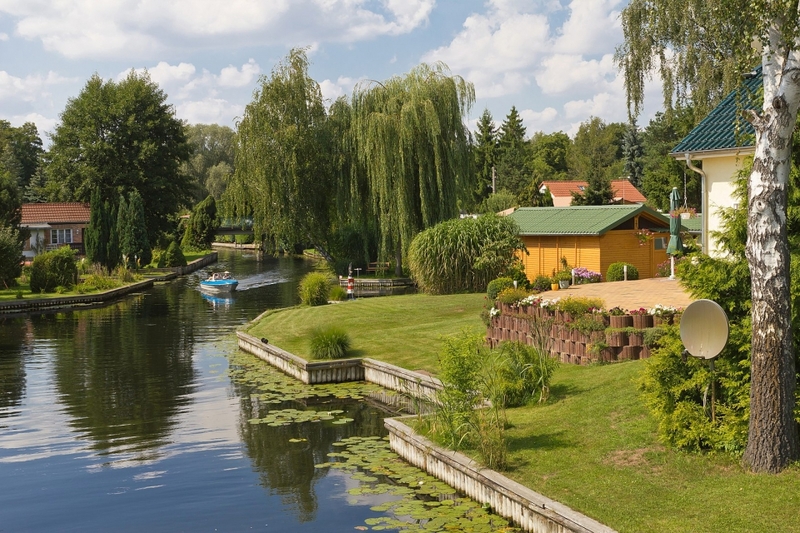 You can rent your canoe or paddle boat right on site and enjoy the charms of New Venice, with its 13 cute bridges and pretty houses all around. Time to escape the city craze for a day and enjoy this little forgotten piece of heaven in southeast Berlin.